Top 5 Ways Asparagus, A Rite Of Spring, Can Still Surprise : The Salt Did you know how fast these green shoots, the season's iconic vegetable, can grow? Or that they come in male and female versions? Or that what we eat in the U.S. is mostly now grown abroad? As the snow melts, even in Minnesota, and daylight lingers into evening, people who like to eat with the seasons know what's coming: asparagus. "Asparagus means the beginning of spring. It's spring!" says Nora Pouillon, chef and founder of Restaurant Nora in Washington, D.C. Later this month, she'll revise her menu, and it will certainly include asparagus with salmon, and asparagus soup. It's an elegant vegetable, Pouillon says, and unique: "Sweet and bitter at the same time." Asparagus crowns at Walker Brothers, ready for planting. 1. That green spear on your plate wanted to be a "fern." 2. Asparagus spears grow ridiculously fast. 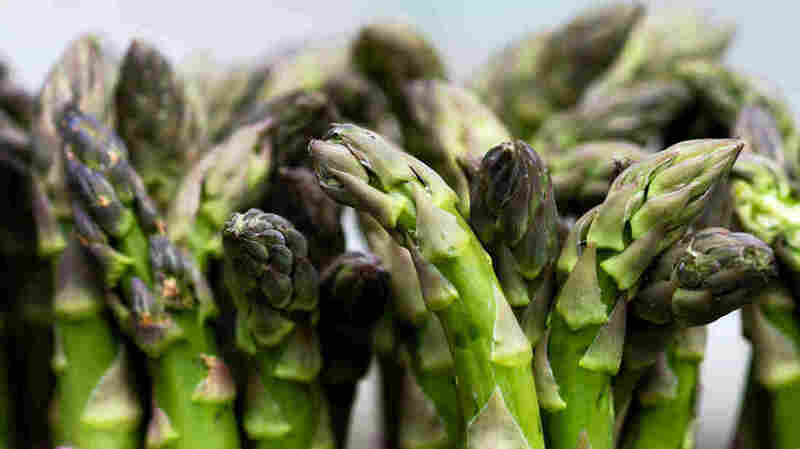 Scott Walker, president of the world's biggest asparagus seed company (Walker Brothers, of Pittsgrove, N.J.), says that he's heard that on really hot days, asparagus can grow an inch per hour. But he's never actually measured them. During harvest season, farmers struggle to stay ahead of the growing spears. Each field has to be harvested every day, and sometimes even twice a day. "I remember one year, it went from cold to hot, and it looked like the hair on a dog's back out there in the field. It was everywhere, and we could not keep up," Walker says. After about six or eight weeks, farmers stop harvesting and let them grow wild. The plant needs to grow into a fern to capture energy from the sun and store it in the root for the next growing season. Asparagus Time lapse from Adam Gregory on Vimeo. 3. Asparagus plants are either male or female. The female plants make berries, containing seeds. The male plants just make flowers, containing pollen. But both of them produce spears. Scott Walker is president of Walker Brothers, the world's largest asparagus seed company. 4. America imports close to 90 percent of its asparagus. It wasn't always this way. As recently as 1989, the U.S. grew more asparagus than it consumed, and exported slightly more than it imported. In those days, asparagus consumption followed a predictable pattern: California's fields kicked off the asparagus season, followed by Washington, New Jersey and Michigan. But since then, imports have boomed, while U.S. production has been shrinking. The trend has accelerated in the last 10 years. You can now get fresh asparagus all winter long, mostly from Peru. Scott Walker has seen those operations. "They will harvest in the morning. That night it's on a plane. The next morning it's here in the U.S.," he says. In early spring, an even bigger wave of imports arrives from Mexico. 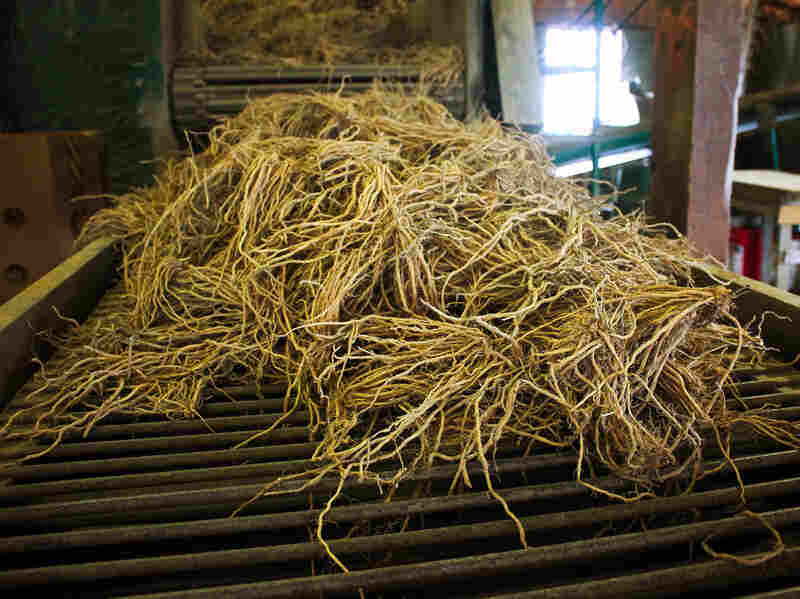 It's making life miserable for asparagus growers in California. "I call it a marketing train wreck," says Cherie Watte Angulo, executive director of the California Asparagus Commission. 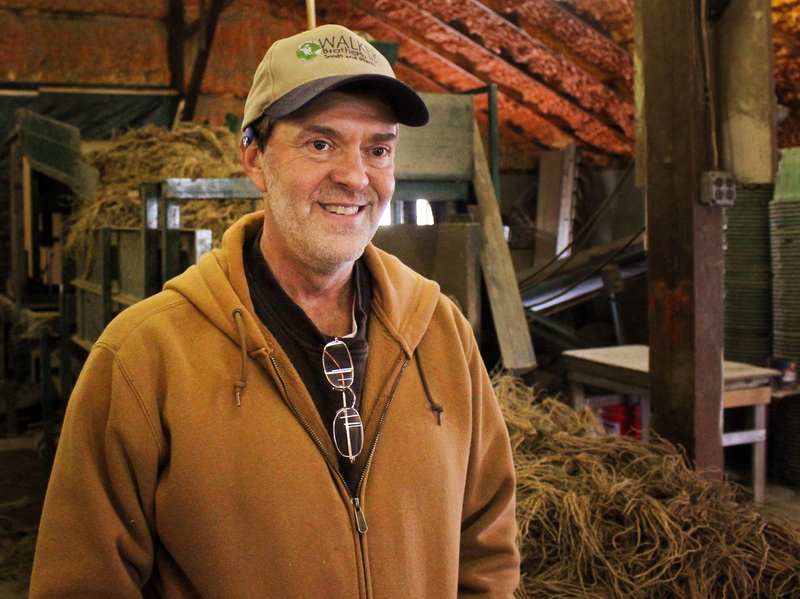 "There's a huge supply on the market, right when we're coming on with our new crop. The price is extremely depressed. We haven't seen prices this low in years." The basic problem for California's growers is simply that harvesting asparagus takes a lot of hands, and labor is much more expensive here than in Mexico. 5. Right now, California's asparagus growers are slicing up their crop in the field. Many of these farmers are driving through their fields with sharp metal disks that cut off the asparagus spears. "That delays production anywhere from a couple of days to a couple of weeks," says Angulo. By then, the farmers are hoping that the flood of Mexican production will be done, and prices will be higher. But this year's problems are likely to accelerate the exodus of farmers from asparagus production. American farmers are growing only a third as much of this vegetable as they did 20 years ago, even though American consumers are eating more of it.